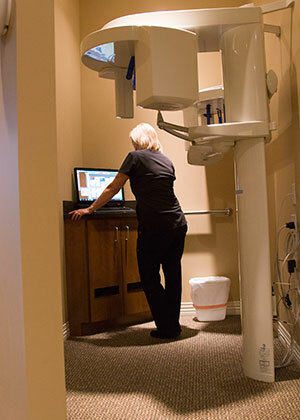 Our in-office scanning equipment allows Dr. Postol to view your bone density and structure to see if you're a candidate for dental implants. Want to avoid expensive and painful procedures? Regular visits to Dr. Postol and his hygiene department in Ballwin ensure both proper preventative dental care and routine dental hygiene, allowing you to maintain the good oral health that is necessary for your overall well-being and systemic health. Our superior dental diagnostics equipment and materials detect any changes to your teeth, tissues, or bone, including cracks, decay, gum disease, or the breakdown of dental restorations. 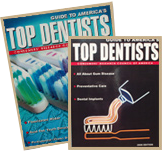 Educating our patients in Ballwin, located near St. Louis, on effective dental hygiene is the heart of our practice! Contact our Ballwin office today to discover how to improve your dental health through proper oral hygiene. Frequent and proper brushing and flossing, along with your regular professional dental cleaning, will help reduce and remove plaque – a contributing factor to tooth decay and gum disease. Plaque is a soft, sticky, colorless bacterial film that grows on the hard surfaces of teeth. These bacteria use the sugar and starch from food particles in the mouth to produce acid. Left to accumulate, this acid produces foul breath, destroys the outer enamel of the tooth, and irritates gums to the point of bleeding.